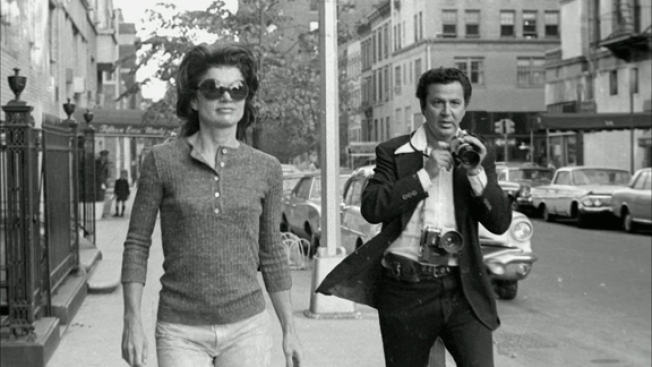 Galella, the subject of Gast's new film "Smash His Camera," gained notoriety thanks largely to his obsession with Jacqueline Kennedy Onassis. The former first lady twice sued the photog, and during her 1972 suit, Galella v. Onassis, she obtained a restraining order that required he stay at least 150 feet away from her and her children. "Smash His Camera" takes it title from orders barked by Onassis to her bodyguards during one of her showdowns with Galella. Marlon Brando famously punched Galella in the face outside a New York City restaurant, inspiring to the photographer to don a football helmet the next time he tried to take the actor's picture. Jacqueline Kennedy Onassis sued him, Marlon Brando broke his jaw and Steve McQueen gave him a look that would have killed, if looks could kill. To the celebrities he pursued, photographer Ron Galella was the beast who threatened beauty. As it turned out, he gave them a strange and lasting beauty they might never have known without him. Inherent in the story of this notorious paparazzo are the complex issues of the right to privacy, freedom of the press and the ever-growing vortex of celebrity worship. He sneaked around and invaded and bribed and held up his camera and shot till he dropped (or someone dropped him). His was the artistry of the sniper. Yet Galella found something essential in his real-life subjects, and he gave it permanence. The movie, which recently aired on HBO, comes out in theaters July 30. For anyone with a love of New York City -- particularly in the '70s, celebrity culture or monomaniacs, it is a must-see.